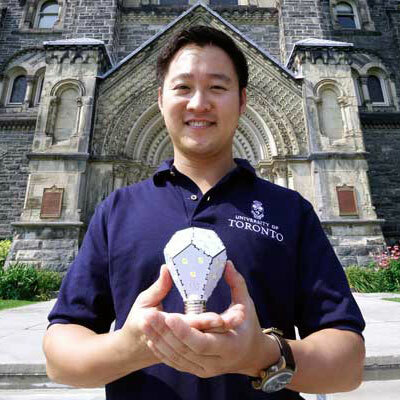 Gimmy Chu, one of the U of T Engineering alumni behind startup success Nanoleaf, with the revolutionary light bulb backed by investors around the world. The time has never been better to be an entrepreneur at the University of Toronto. Yesterday, U of T announced that it will receive more than $3 million in funding from the Ontario government to increase training and support for student entrepreneurship. Offered through the Ontario’s new Campus-Linked Accelerator Program (CLA), the $3,056,000 of funding over two years will enable U of T to better coordinate its entrepreneurship activities, expand the base of students exposed to entrepreneurship at the university and enhance the quality of training, said Scott Mabury, U of T’s vice-president of university operations. In fact, U of T produces more startups than any other university in Canada and is already home to a diverse ecosystem of entrepreneurship supports, including accelerators, programs, courses, classes and co-curricular organizations. One such accelerator, U of T Engineering’s Entrepreneurship Hatchery, has nurtured successful startups like FuelWear and Modly, and engages students through speaker series, idea markets, weekend competitions, expert mentorship, access to the Faculty’s resources and more. 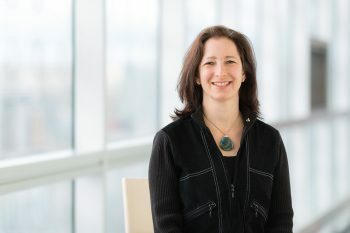 The Hatchery works in tandem with other accelerators on campus and around Toronto, including Rotman’s Creative Destruction Lab, the Impact Centre in the Faculty of Arts & Science, the MaRS centre and UTEST, part of the Innovations and Partnerships office. U of T’s Banting and Best Centre for Innovation and Entrepreneurship will operate as an umbrella accelerator to coordinate entrepreneurship activities across the University’s three campuses. “Fostering the entrepreneurial spirit among students is a key component of Ontario’s Youth Jobs Strategy, through programs that help transfer their ideas and skills to the marketplace while creating rewarding careers,” said Reza Moridi, Ontario’s minister of research and innovation and minister of training, colleges and universities. Read more about entrepreneurship at U of T Engineering.